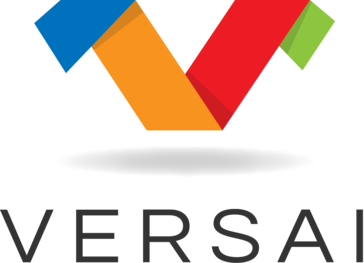 Work for Versai Museum Management Software? Learning about Versai Museum Management Software? Versai Museum Management has been a fantastic program, that has helped our small museum flourish. It has made managing our data and ticket sales easy, and efficient as possible. I would say one of the best parts would be the smooth and simple design it has. The design of the program allows anyone to simply pick it up and use it easily, allowing for everything to go smoothly. There is not much that I dislike about this program. Other than an occasional glitch here or there, I have not found anything worth mentioning. Every issue we've had has been solved quickly and easily. I would say that Versai has been very beneficial to our Museum, and I would recommend it to any Museum. It has made managing data easy, and has been stable as well. My experience has been a positive one, and I think other companies would have positive experiences too. Versai is being used to manage the ticket sales for our small museum. It compiles the data and manages it very accurately, and causes very little frustration. I would say it is doing an excellent job, and has definitely helped our museum. I have been able to easily and efficiently manage every revenue stream within my line of work. For instance, types of attendance. It covers everything from ticketing to lecture registrations. It helps us make informed business decisions, and I have certainly been impressed with it. There is not much that I do not like to be completely honest. It is so comprehensive. Something that could be an issue, would but how much it covers and due to the sheer amount it does, it does take some getting used to. However, I have been able to handle everything easily, due to some time investment within it. I certainly recommend giving it a try. My team has enjoyed using this software, it has made things so much more efficient and easier. I think that it will become more popular, and that it is very successful in what it does. I do not see any reason as to why anyone would not want to use this program. It does have a lot of information within it, however once time is put into it, it is easy to navigate, and will make life so much easier. It helps me combat issues such as ticketing, and making informed business decisions. "Review for Versai Museum Management Software"
I dislike the way reports are done. You can many reports but there is no way to combine them. It makes it difficult when you have to pull up several different reports just to get all of the information you need. Some reports also don't show the breakdown of taxes, just the total with the taxes , which can be a problem for accounting. I recommend taking a day or so of employee training if it's at all possible. Having to learn how to use the new system while also serving customers is somewhat complicated. The interface isn't in and of itself complicated but it does take some getting used to as its slightly difficult on the eyes at first. However, once someone hasn't gotten used to it, its much easier to use. I would also recommend playing around with the reports tab so you can figure out before hand what reports you would need to make paperwork easier while the system is still new and everyone is learning it. With Versai we can use a card printing machine and it is allowing us to give our members their cards immediately versus them having to wait up to two months to be mailed out. We are also able to complete all of our paperwork now because Versai gives us adequate information for us to fill out the forms we need. "Amazing Program to collect & track information in detail, but novice computer users beware"
Versai can be customized to collect and utilize almost any information you need. We can track every visit and purchase by a patron, print membership cards instantly, and add important survey questions for grants that automatically appear at the beginning of each sale. You can even add discounts directly to their account that automatically apply when you select them. The reports are inefficient and complicated. We were hoping this software was going to simplify reports, but instead I find them more difficult than any of our previous programs.There is no way to add gift shop sales and admission sales together to determine total daily deposit - you have to print a report for each and manually calculate. Sales tax and admission tax are only found one, total payment type on another, and transaction detail on yet another. We have to print 5 different reports to complete closing paperwork. Visually Versai is hard on the eyes - there are way too many buttons to click for transactions and data entry, and several unnecessary fields available, sometimes even asking for information already provided again. There is absolutely no helpful support and troubleshooting options. The "Help" section covers just a handful of topics in brief detail - and they aren't topics you would even need help with. We are frequently contacting technical support to help us with issues while we adjust. Grant tracking information (i.e. zip codes, ages) is simplified and programmable to automatically apply to every transaction. Membership cards no longer have to be mailed - information we need on memberships can instantly be inputted instead of passing paperwork off to someone to manually process. Complete drawer counts are required to begin daily sales. Versai is a decent POS system. They track a lot more data for you than many other, more intuitive systems, which is why we use them. It's not easy to use and it's hard to change settings on the fly if something isn't working. It's not a simple program. If you need to track a lot of data it's worth considering using this program. We use it for our POS. * We monitor all Versai Museum Management Software reviews to prevent fraudulent reviews and keep review quality high. We do not post reviews by company employees or direct competitors. Validated reviews require the user to submit a screenshot of the product containing their user ID, in order to verify a user is an actual user of the product. Hi there! Are you looking to implement a solution like Versai Museum Management Software?